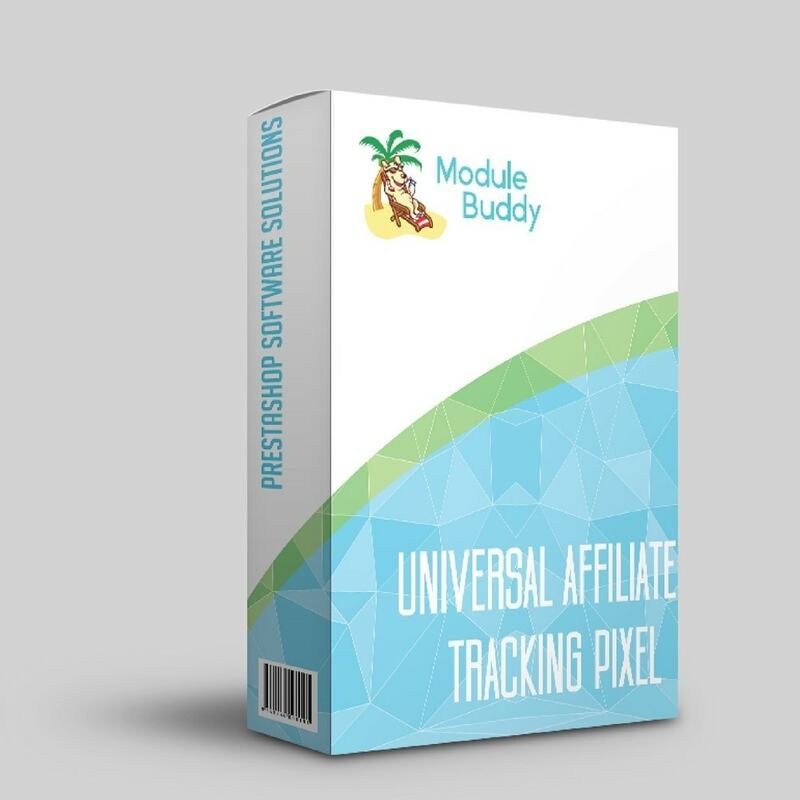 Modulebuddy™ Universal Affiliate Tracking Pixel module helps you to easily insert any tracking pixel in your order confirmation page. You can insert tracking pixels for TradeDoubler, Zanox, CJ, Rakuten or any other Affiliate network that gives you a tracking pixel. You can also insert any custom content as well as other tracking pixels such as Google, Bing, Facebook, Twitter etc with ease. Just paste the tracking pixel, insert any variables such as Order Value or Order ID if you need that and press save, thats it! 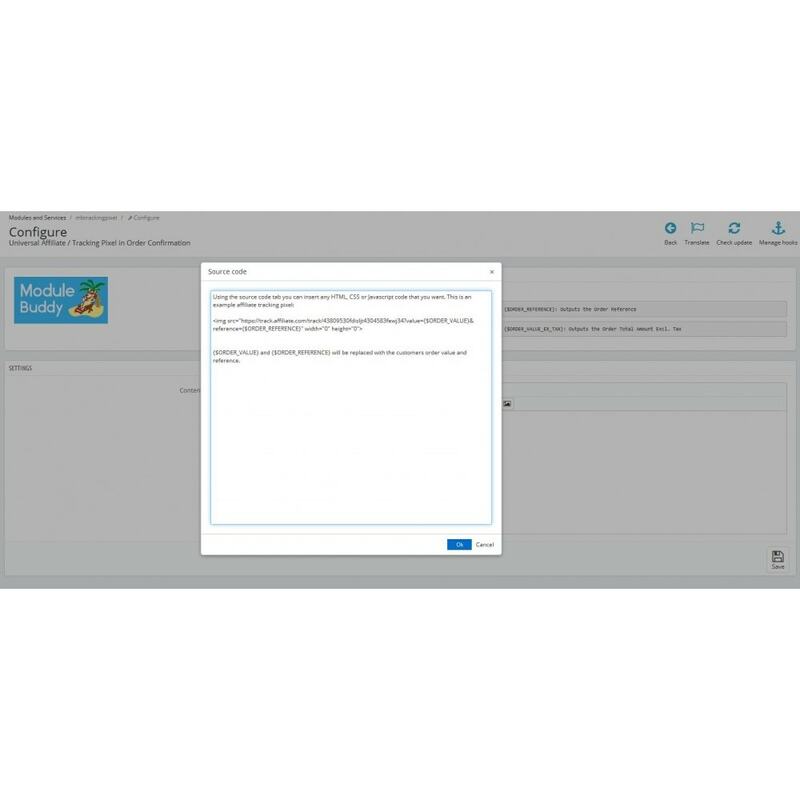 Now everytime a customer makes an order the content that you have inserted in the module will be loaded in the order confirmation page. 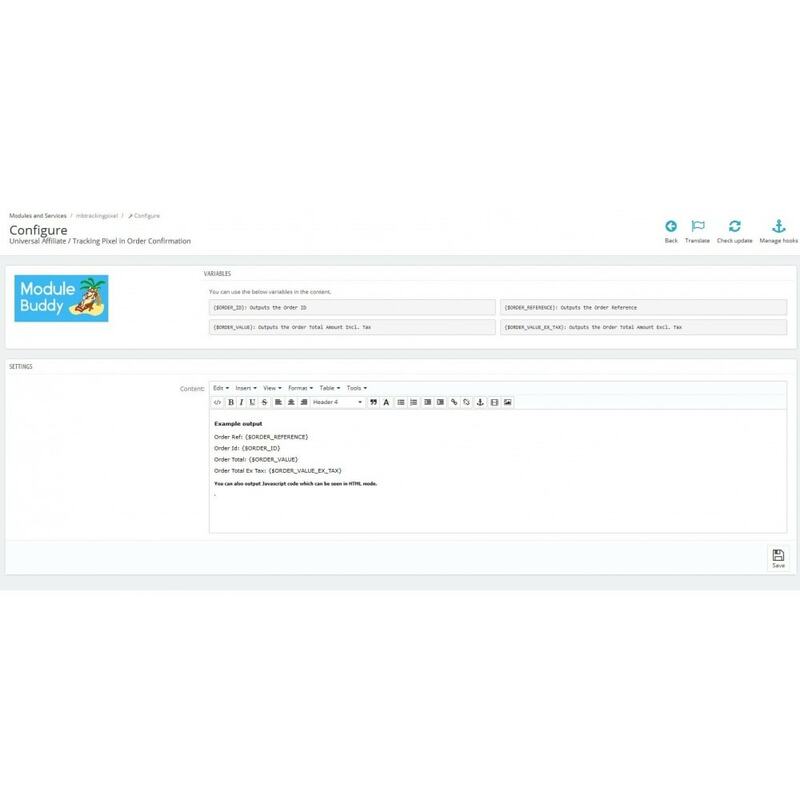 Analyze your store activity easily with this simple yet powerful module. Add any Affiliate Pixel to your Order Confirmation page. 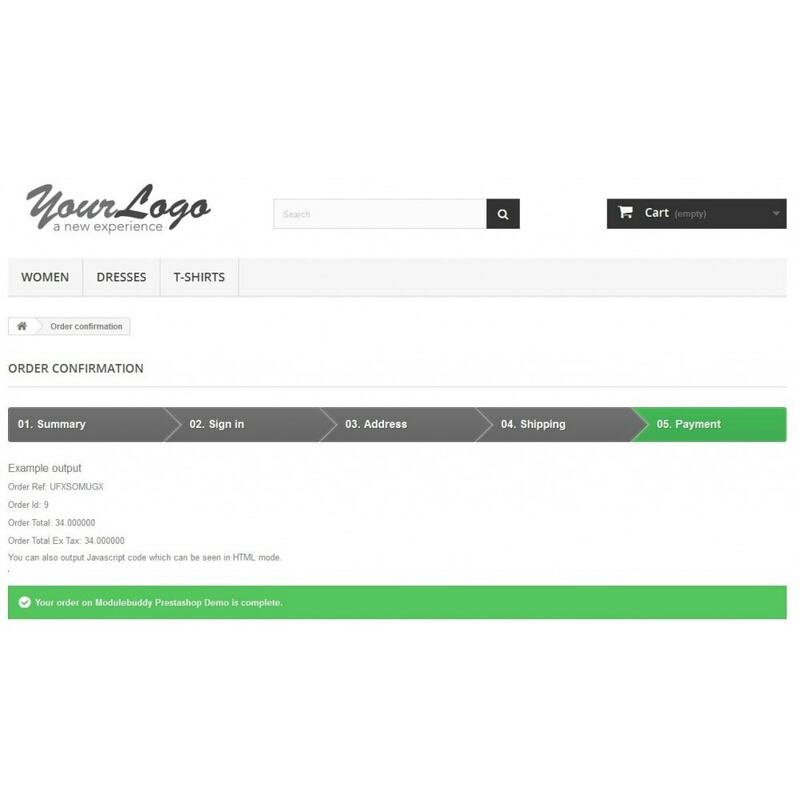 Add any other content or pixel to your Order Confirmation page. You can use variables such as Order Value or Order ID in the content. 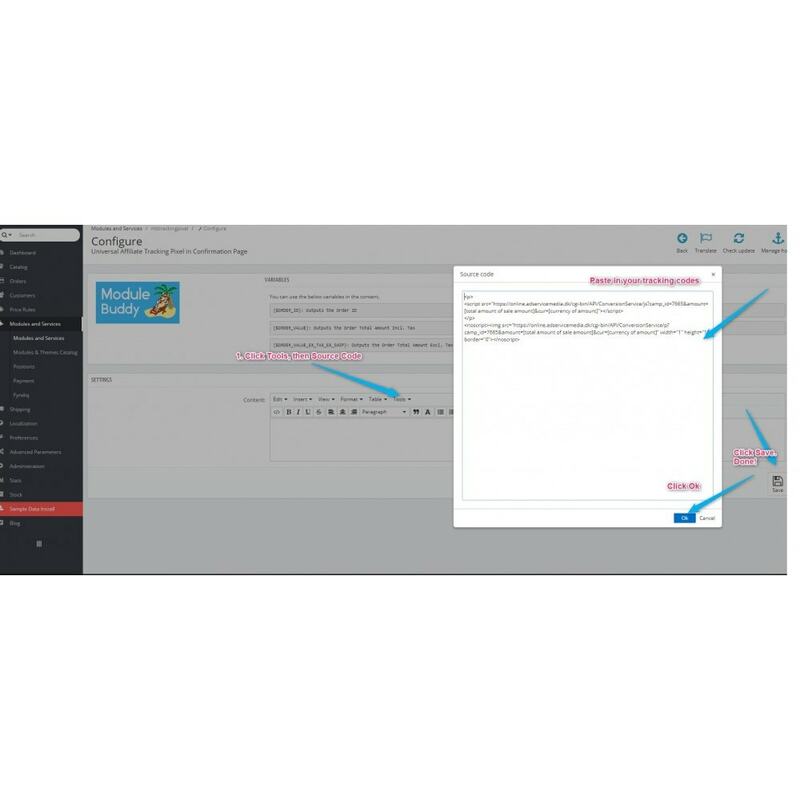 WYSIWYG-Editor so you can easily edit your content, insert images etc. Works with most affiliate networks such as TradeDoubler, Zanox, CJ, Clickwish, Rakuten. Work directly from your Admin section and no need to edit files through FTP.